(Newser) – The first commercial nuclear reactor of the 21st century—and the first in 20 years—was officially declared complete Wednesday in Tennessee, the AP reports. According to CNN, the Tennessee Valley Authority started work on the Watts Bar Nuclear Plant in 1973. The first reactor didn't open until 1996. The completion of the second reactor this week wraps up a 43-year project. "If you're in the nuclear business, the sight behind me is a lovely sight," TVA president Bill Johnson says. 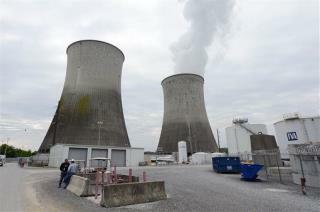 It took nine years and $4.7 billion to build the second reactor, WRCB reports. The project was over budget by billions. A nuclear engineer tells the Chattanooga Times Free Press that finishing the Watts Bar Nuclear Plant was the "most difficult, complex project I've ever worked on." China to the rescue. They have standardized the industry with help from GE and Westinghouse expertise. How do you open up 100 new nuclear power stations? You create a universal parts list and a standardized building template. Where can you build these stations? In any country who wants to build one very fast. What happens in 20 years when you need to start replacing aging equipment. Well, in the US, you spend horrendous amounts of money making one-off parts. But with this new Chinese model, you just pick up the current parts catalogue and order a 0490435-084-30980985 because its currently in production for units being put into service today. The idiotic Obama energy plan keeps nuclear at 20% of energy mix out to 2030 and places zero emphasis on it in reducing emissions. It is clear that non stable sources like hydro and wind will never be able to get above 15% due to the destabilizing ability of these power sources so coveted by the left. That leaves natural gas. We have priced ourselves out of nuclear due to the lefts obsession with nuclear weapons and anything ineffective and expensive. Serious people are going to actually look at what is feasible and affordable. The current pipe dream belongs to unicorns and pixie tales.